The Yankees came into this game hoping to win their first series since June 11th in that monster series against the Orioles. Caleb Smith's first start was masterful through three innings, but a shaky fourth inning would end it early. 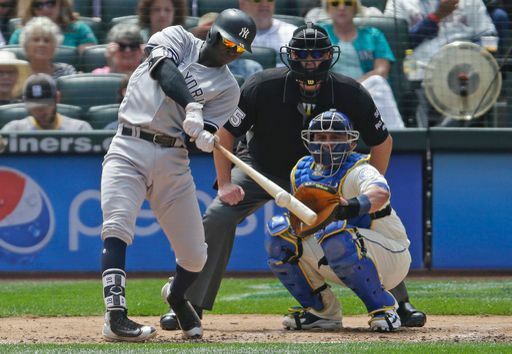 The team smashed three HRs, two by shortstop Didi Gregorius, and Clint Frazier provided the go ahead two RBI double to achieve a 6-4 victory. 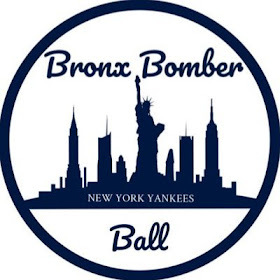 The Bronx Bombers got off to a hot start with Brett Gardner hitting a leadoff HR on the second pitch of the game, followed by back to back HRs by Didi Gregorius, and with Caleb Smith cruising through three innings, it seemed like the team was going to start to pull away. However, in the fourth inning, two soft singles and a walk, and the bases were loaded with no outs. Smith would fight his way to two outs, but former Yankee Ben Gamel pulled an inside fastball just over the outreached glove of Chase Headley, driving in two runs. Next, Nelson Cruz hit a two RBI line drive double to the outfield, ending Smith's start early. 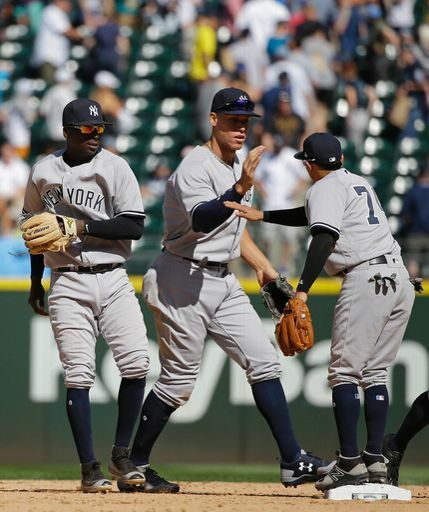 The Yankees would strike back in the sixth inning with Gardner’s bases loaded RBI single to tie the game. Next at-bat, Clint "hot-hand," Frazier drove in two more runs with his 11th extra base hit this season. Chad Green came in for Smith and was dominant, retiring all seven batters he faced striking out three. This success has become a trend for the young righty as he has allowed one run, seven hits, and recorded 30 strikeouts in his past 12 appearances. Green was followed by relievers Dellin Betances, David Robertson, and finally, Aroldis Chapman, this combo gave the Yankees five scoreless innings to secure a must needed win. 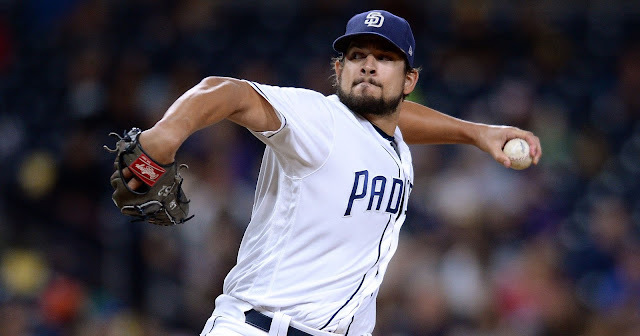 Caleb Smith coasted through the first three innings allowing one hit and no walks, punishing the Mariners batters with a fastball-changeup combo, but bad luck seemed to strike during the fourth inning. Although short, Smith's first start showed promise, throwing 32 pitches to 22 strikes in those first few innings, getting himself into only one three-ball count in that span. Gregorius recorded his first multi-HR game of his career in his first two at-bats while flashing some leather with a great play on a hard hit ball in the third inning, throwing out the runner after falling. He ended the day 2-5 two HRs, and two RBIs. 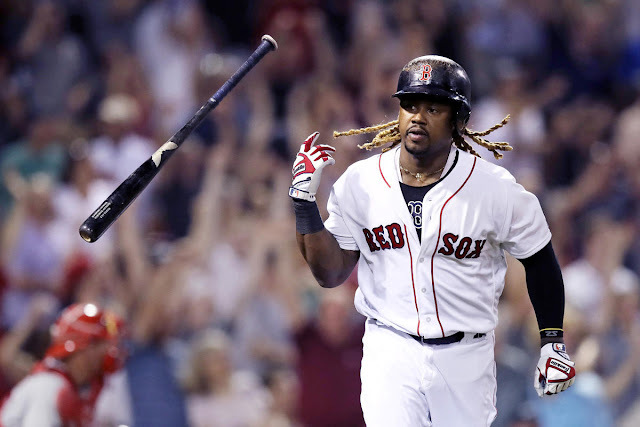 This victory was a crucial series win for the Yankees, who need to start building some momentum if they want to take back the division from Boston. The team returns home to the Bronx after a day off to begin a short series against the Reds at 7:05 PM. The impressive rookie Jordan Montgomery (6-5, 4.09 ERA) will face off against Luis Castillo(1-3, 3.86 ERA).